SEOUL, Nov. 30 (Yonhap) -- The following is a summary of inter-Korean news this week. SEOUL, Nov. 25 (Yonhap) -- A North Korean soprano plans to visit the southern resort island of Jeju next month for a joint concert with a South Korean violinist as part of a project to promote reconciliation between the two sides, a source familiar with the matter said Sunday. The North's singer, Kim Song-mi, agreed to hold the concert with South Korean violinist Won Hyung-joon, chief artistic director of the Seoul-based Lindenbaum Music, at the Jeju Arts Center on Dec. 30, according to the source. 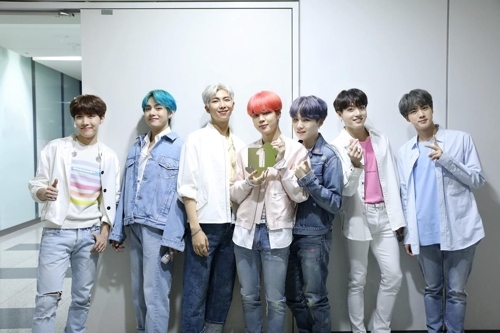 The agreement was reached in Beijing early this month between the Chosun Arts Exchange Association, a body under the North's culture ministry, and Lindenbaum Music, the source said on condition of anonymity. SEOUL, Nov. 25 (Yonhap) -- A North Korean propaganda website lambasted South Korea on Sunday for the latter's participation in adopting a new U.N. human rights resolution against its regime, saying that it runs counter to the improvement of inter-Korean relations. On Nov. 15, a United Nations committee adopted a resolution calling for accountability for gross human rights violations in North Korea. The U.N. Third Committee, which oversees humanitarian issues, passed the document by consensus without a vote. It is expected to pass the U.N. General Assembly next month for the 14th consecutive year. SEOUL, Nov. 26 (Yonhap) -- "Ssireum," traditional Korean wrestling dating to the Three Kingdoms period (A.D. 220–280), was inscribed Monday as an intangible cultural asset by UNESCO's World Heritage Committee, the Cultural Heritage Administration (CHA) said. The decision was made during the 13th session of the Intergovernmental Committee for the Safeguarding of the Intangible Cultural Heritage, currently taking place in Port Louis, Mauritius. This is the first joint inscription by South and North Korea of an Intangible Cultural Heritage of Humanity of UNESCO. The sport's English spelling is ssireum in the South and "ssirum" in the North. SEOUL, Nov. 27 (Yonhap) -- South Korea has allowed a major aid group to visit North Korea this week to discuss ways to expand humanitarian aid to the impoverished country, the organization said Tuesday. 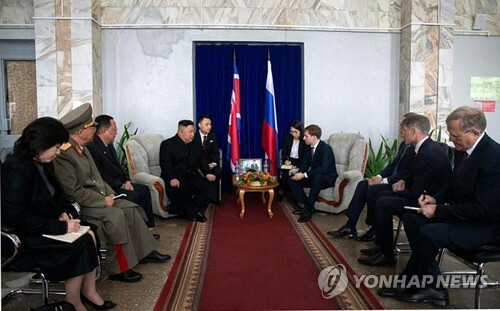 The unification ministry gave the green light to the Seoul-based Korean Sharing Movement for 14 of its officials to visit North Korea for four days starting Wednesday, it said. 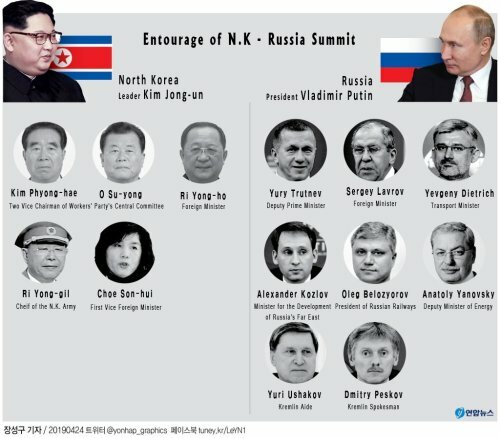 They plan to meet with North Korean officials to discuss future projects that could take off if international sanctions on the communist nation are relaxed. 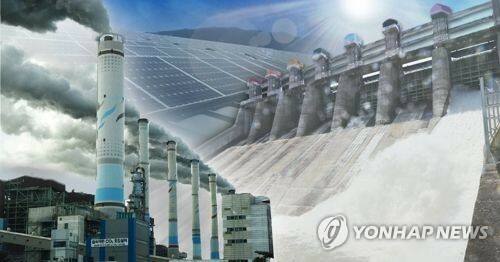 SEOUL, Nov. 29 (Yonhap) -- South Korea is sticking to the plan to hold a groundbreaking ceremony for inter-Korean railway and road connection projects this year as the Koreas are to begin a joint inspection of the rail system in North Korea this week, a unification ministry official said Thursday. 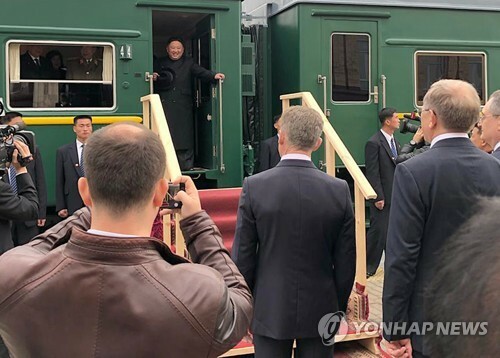 SEOUL/DORASAN, Nov. 30 (Yonhap-Joint Press Corps) -- A South Korean train departed for North Korea on Friday for an 18-day joint railway inspection that the Koreas are conducting as part of efforts to modernize, and eventually reconnect, rail lines across their border. 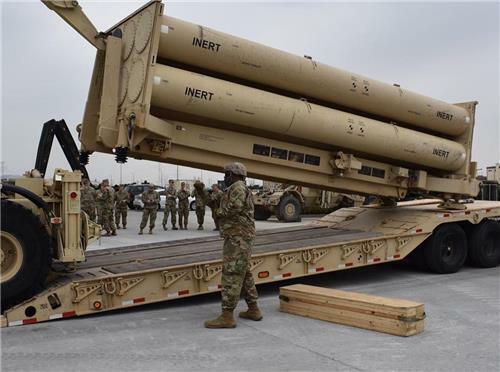 SEOUL, Nov. 30 (Yonhap) -- South Korea has provided North Korea with materials needed to stably manage a military communication line on the west coast, Seoul's defense ministry said Friday. On Thursday, the ministry delivered optical and copper cable transmission equipment and communication conduits. They are among the items for which Seoul has secured exceptions from U.N. Security Council sanctions. "This measure will help the defense authorities of the Koreas devise military measures to activate bilateral exchanges and contact by stably managing the western military communication line," the ministry said in a press release. SEOUL, Nov. 30 (Yonhap) -- South and North Korea will complete demolishing 10 front-line guard posts each and demining a ridge in the Demilitarized Zone (DMZ) Friday, Seoul's defense ministry said. 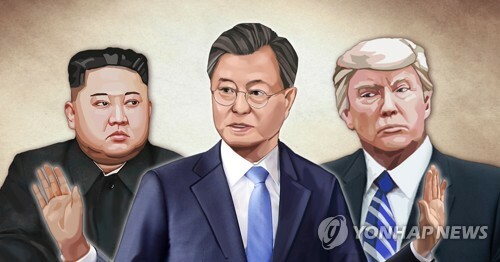 They began the work in October as part of a military accord to reduce tensions and build trust, which their defense chiefs signed in September after the third summit between President Moon Jae-in and North Korean leader Kim Jong-un in Pyongyang. "The work to completely destroy the guard posts subject to the withdrawal agreement will be completed today," a ministry official said on condition of anonymity. "Next month, the verification work will proceed." 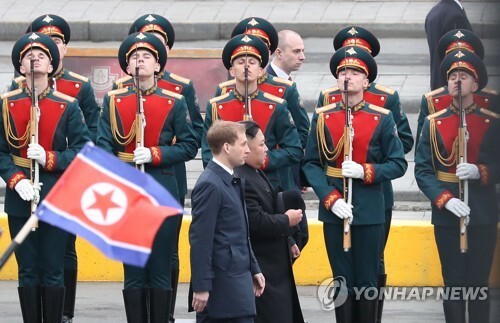 SEOUL, Nov. 30 (Yonhap) -- South Korea's presidential office said Friday that it still leaves "all possibilities open" regarding North Korean leader Kim Jong-un's planned visit to Seoul, in response to a news report that Seoul was trying to arrange his trip in mid-December. A local media report said that Cheong Wa Dae was preparing for Kim's trip, hoping that it could take place around Dec. 13-14, but the North has asked for a delay, citing security concerns. The government will likely push for a mid-December trip again and bring up the issue when President Moon Jae-in holds a summit with U.S. President Donald Trump on the sidelines of the Group of 20 summit in Argentina on Saturday, it said. "We are discussing (the issue) with all possibilities open. 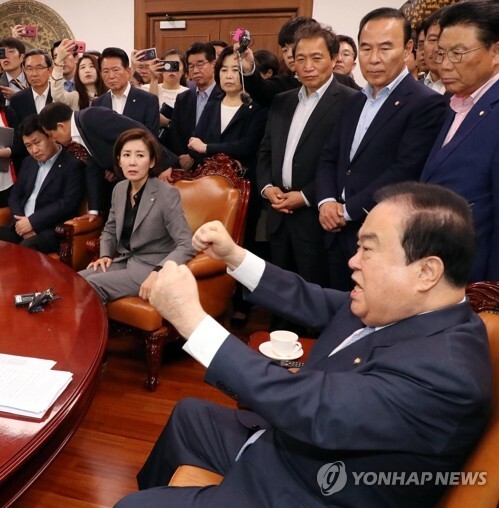 Nothing has been decided," Cheong Wa Dae spokesman Kim Eui-kyeom said in a text message to reporters.